Do you like Color Blocks? Share it with your friends. 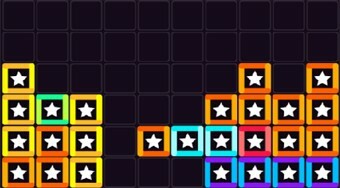 Color Blocks is a very addictive logic game in which your task is to place objects from tetris cubes with stars on the board, create vertical and horizontal rows and try to get as many points as possible. The game ends when the dice no longer fit on the board.